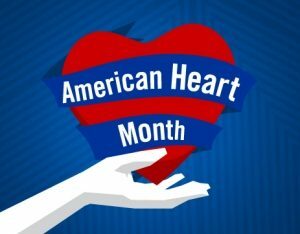 February is American Heart Month, established in 1964 to build awareness of the complex of conditions, illnesses and diseases that together make heart disease the leading cause of death for both men and women in the United States. Heart disease isn’t just responsible for 1 out of 4 deaths every year; it is also a major cause of disability. Heart attacks can strike with no prior symptoms, and survivors can be left with a weakened heart muscle that impacts all the other systems of the body. A homecare companion can be a critical piece of the home recovery and rehabilitation plan. Heart disease is the term used to refer to the many conditions caused by or related to a buildup of plaque on the walls of the arteries of the heart, or atherosclerosis. Coronary heart disease, also called coronary artery disease, arrhythmia, angina, and heart attack are caused, to a varying degree, when the arteries carrying blood to the heart reduce the blood flow. A complete blockage causes a heart attack, whether by a gradual buildup, or if a piece of plaque breaks off and forms a clot. Strokes are also a risk when clots form, and since plaque is formed by cholesterol deposits, high cholesterol is also part of the heart disease continuum. Angina is typically a symptom of coronary heart disease, since the narrowing of the arteries reduces the flow of blood, causing pain, pressure and squeezing in the chest. Over time, this can weaken the heart muscle, prevent blood from pumping with sufficient strength, and cause heart failure. Or, a weak heart muscle can begin to beat irregularly, known as arrhythmia. However, the heart is a strong muscle literally as well figuratively, and for most people, the first sign of a problem with the coronary arteries is a heart attack. In addition to atherosclerosis, other conditions can cause a heart attack, such as high blood pressure, smoking, unhealthy diet, lack of physical activity, obesity, diabetes, a family history of stroke. The aging process and having suffered a previous heart attack are also strong risk factors. It’s important for caregivers to know the signs of a heart attack in both men and women. Not only can the genders experience different symptoms, but a person’s chances of surviving a heart attack greatly increase if emergency treatment is administered as soon as possible. Knowing CPR is a valuable skill for a caregiver since somewhere around half of heart attack deaths occur before emergency help can arrive. Women can also experience signs such as breaking out in a cold sweat, nausea or lightheadedness. While chest pain is still the most common symptom, women are then more likely to experience shortness of breath, nausea, and back or jaw pain. Caretakers should not assume that a woman who does not have the iconic arm pain isn’t having a heart attack. Once the blood supply to the heart is blocked, and the heart attack occurs, cells in the heart stop receiving oxygen and begin to die. The longer it takes to restore blood flow, and oxygen delivery, the greater the potential long-term damage to the heart muscle. This residual damage can affect heart rhythm, pumping action and circulation of the blood, and leave the survivor open to risk of stroke and kidney problems. Recognizing the signs of a heart attack and beginning CPR immediately are the best ways to preserve long-term health and recovery. Whether your loved one needs to make changes in the wake of a heart attack or other heart event, or you’ve been advised that it’s time to make serious preventative changes, the specific treatments and medications will vary by condition. However, the lifestyle changes are applicable in every case, and can improve your loved one’s quality of life aside from the health benefits. The primary recommendations center around eating a healthy diet, achieving and maintaining a healthy weight, managing blood sugar, and achieving and maintaining healthy blood pressure and cholesterol levels. Additionally, regular exercise, not smoking, managing stress, and limiting alcohol can prevent a first or, more importantly, a second heart attack. If you’re wondering what your risk of heart disease is, this Risk Questionnaire assesses your likelihood of developing heart disease based on a series of questions about lifestyle and family medical history. In addition to assessing your risk, and making positive changes to your lifestyle, you can support American Heart Month in a few ways. February 6th is National Wear Red Day, recognizing that 1 in 3 women die of heart disease and stroke each year. The CDC offers many tools and resources designed to help you and your loved one make lifestyle changes for prevention on their website. The old adage “an ounce of prevention is worth a pound of cure” is valid in this case, but if your loved one experiences a heart attack, a Casa Companion Homecare Specialist can help with recovery, recuperation and rehabilitation.